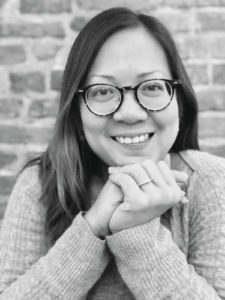 COMMUNITY leader Naomi Tacuyan Underwood is the new executive director of the Asian American Journalists Association (AAJA). Underwood joins AAJA from the Washington, D.C.-based Faith & Politics Institute, where she served as director of programs. She has over a decade of experience in nonprofit management and community engagement where she has long focused on empowering Asian American and Pacific Islander communities. “I am excited to join the AAJA family, and to build upon the decades of work that the leadership have committed to increasing diversity and innovation in journalism,” said Underwood, a Filipina immigrant who grew up in Guam and currently resides in Annandale, Virginia. Underwood has worked extensively in community outreach, including a stint as deputy director for APIAVote, a national nonpartisan organization that builds voter engagement capacity in local AAPI communities. She has also served as legislative staff for Congresswoman Madeleine Z. Bordallo (D-Guam), focusing on territorial, environmental and AAPI issues, among other issues. “I have deep respect for the role of journalism in our democracy, and this role must be fortified with the diversity of perspectives that journalists of color bring. I look forward to supporting and uplifting AAJA’s members, and working closely with leadership to increase AAJA’s visibility and impact in this next chapter of the organization’s growth,” Underwood said. She graduated from New York University with degrees in journalism and Asian Pacific American studies, and received a Master’s in Public Policy from the University of California, Los Angeles.